The government also intends to fine those taking part in illegal dumping from $350 to $3 million depending on the gravity of the offence, the type of soil and if they are repeat offenders. Trucks transporting contaminated soil in Quebec will soon be tracked by the Environment Ministry. 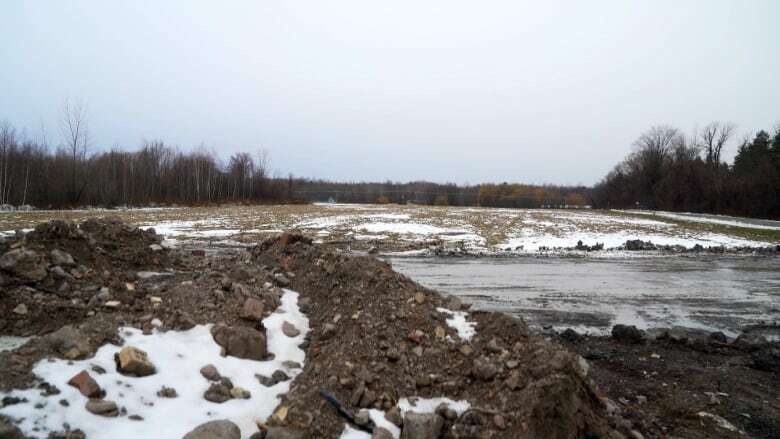 Environment Minister Benoit Charrette announced Friday that the government has given the green light to this "novel solution" to combat illegal dumping of contaminated soil. Charrette said the soil would be tracked in real time, starting from its excavation, through a global positioning system. The system, Traces Québec, is already in place in Montreal as part of a pilot project launched last March. The government also intends to fine those taking part in illegal dumping — from $350 to $3 million depending on the gravity of the offence, the type of soil and if they are repeat offenders, among other criteria. According to the ministry, "the entire chain" of actors who deal with contaminated soil will now have to be recorded in a registry. The number of inspections on dumping sites will also be increased. Reporting by Radio-Canada has found that contaminated soil often winds up untreated in open areas, to avoid the cost of decontamination. Certain companies charged with dumping the soil are also believed to be linked to organized crime. Quebec's federation of municipalities (FQM) supports the new regulations. "We are happy that the ministry is taking the appropriate steps to solve this problem," said FQM president Jacques Demers. "Something must be done urgently." Public consultations will be held before the new system goes into effect.